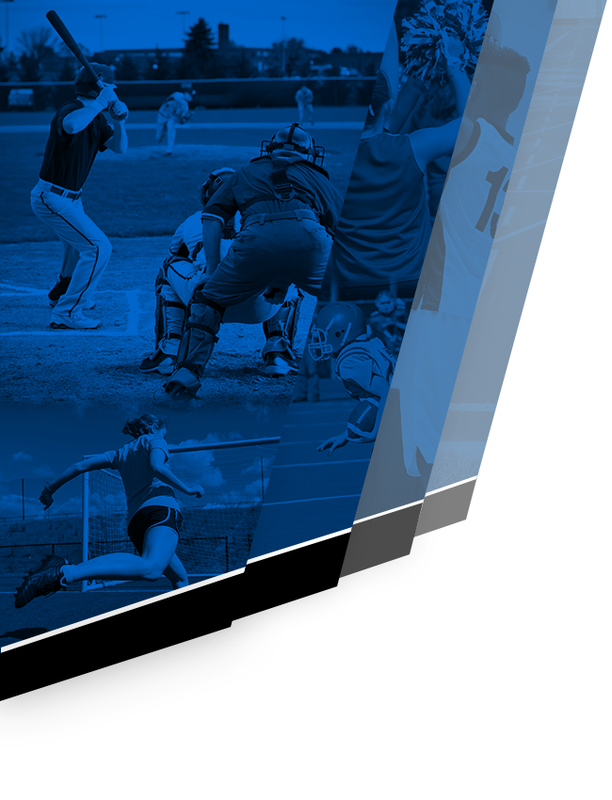 Trident Sports Medicine will be providing free Pre-Participation Sports Physicals for the 2019-20 school year. This will take place at the Cane Bay High gymnasium on April 6th at 7:30 AM. 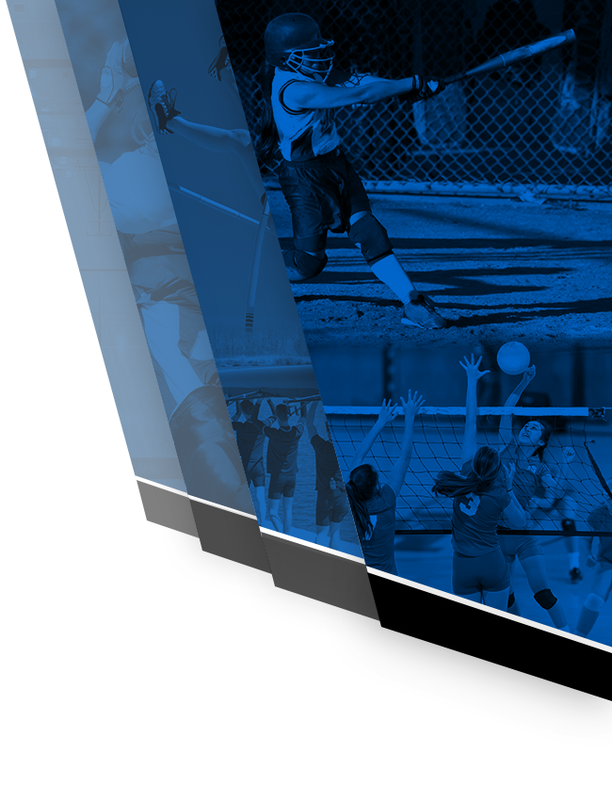 All paperwork must be signed and prescreening with school nurse or athletic trainer completed before Friday April 5th. Make sure paperwork is dated April 1st or later. Please arrive promptly at 7:30 AM on Saturday. Shorts are mandatory attire on the day of exam. 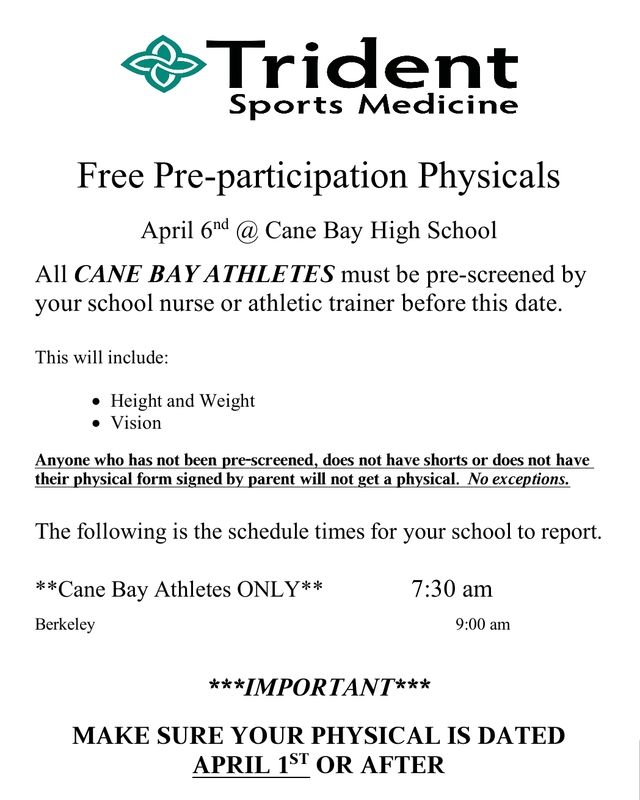 Physicals are for rising 7th-12th grade students that would like to participate in athletics at Cane Bay HS for the 2019-20 school year.